Camping application opens October 8, 2018 at 10:00 a.m. There are a limited number of sites with electricity. When sold out, you may choose to be on a waiting list. If you would like to sign up for non-electric camping (in the event that you do not get into an electric site), check either the 3 or 4 night non-electric box. Pay by credit card after submitting reservation. If you DO NOT wish to sign up for non-electric camping, leave the "Camping Options" section blank. Overnight camping accommodations are available to Midwest Horse Fair participants only: including exhibitors, horse participants, performers, clinicians, and eligible Midwest Horse Fair volunteers (see below). Any reserved spaces must be for the use of camping only. Parking storage or supply trailers, without the intention of camping, is prohibited. Eligible Volunteer Policy - Due to a limited number of camping sites, camping qualifications for volunteers have changed. As an equine event, Midwest Horse Fair has a commitment to looking out for the safety and care of animals onsite as a first priority. This includes providing people with horses onsite the option to camp which allows them to provide around the clock care and monitoring of their animals. It is with the safety and concern for these animals that we now require volunteers wishing to camp to have two of their three scheduled shifts scheduled on separate days Friday - Sunday. Midwest Horse Fair reserves the right to limit the number of campsites reserved per individual or company. A minimum of three nights of camping is required. Cost of camping does not include admission and campers are required to purchase a 3-Day wristband separately. Admission wristbands will be checked as you enter and exit the camping area throughout the weekend. Registered campers must be 18 years of age as of fair weekend or accompanied by an adult. To access the showers between 11:00 p.m. and 5:00 a.m. you will need to use the west door of Pavilion One (closest to Pavilion Two). For security purposes, all other areas of Pavilion One are closed unless you have the appropriate after-hours Pavilion Badge. Security will be on-site throughout the weekend. No horses are allowed in designated camping areas or individual camping spots. NEW DEADLINE: Refunds for cancellation are eligible until January 2. Cancellation must be made in writing. One vehicle per camping spot is allowed to remain on Willow Island. Vehicles must be parked in front of your designated camping spot and permit prominently displayed. Each electrical post is for a single designated camping spot, sharing posts is not allowed. Requests for specific sites will be considered, but not guaranteed. All electric sites will be pre-assigned before your arrival and your site number will be sent via email in March. Non-electric sites will be assigned upon arrival at the fair. Check-in for camping is on Wednesday of fair week from 3:00 p.m. - 8:00 p.m., and Thursday from 8:00 a.m. - 9:00 p.m. Arrival before Wednesday at 3:00 p.m. is prohibited. Horses are not allowed on the grounds until Thursday of fair week at 8:00 a.m. and must be unloaded before entering the camping area. Parking Permits will be numbered and distributed with your Camping Permit upon check-in. Your Midwest Horse Fair Camping Parking Permit and Camping Permit must be displayed at all times. Camping Parking Permit valid only at Olin Avenue entrance. Campers must provide names of everyone in their camping party to the Midwest Horse Fair office. For safety reasons, once you have parked the camper you must remain parked for the entire weekend. Campers are required to stay in place until 5:00 p.m. on Sunday. 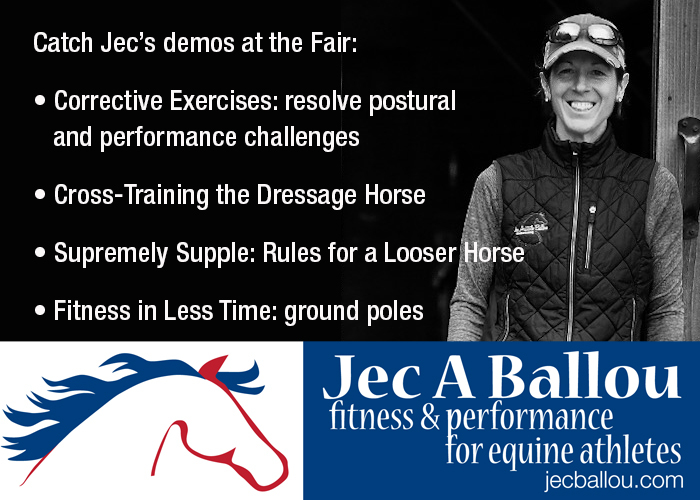 All items (this includes horses & any supplies, exhibitor supplies, etc.) must be unloaded before you are able to park in the camping area. The Alliant Energy Center is closed from midnight to 6:00 a.m. Quiet must be observed during these hours. No firearms, fireworks, or dangerous weapons are permitted on the Alliant Energy Center premises. Fires are permitted only in campers’ own gas grills. Charcoal grills are not allowed on Alliant Energy Center grounds. All liquid and solid refuse must be placed in designated receptacles. Swimming, fishing, and boating are not permitted in Alliant Energy Center ponds. No amplified noise is permitted without permission. No noisy, drunk, or disorderly person shall be permitted to remain on the premises. Alliant Energy Center grounds must be vacated by 10:00 p.m. on Sunday. Spectators can visit the Dane County Park System to learn about other camping options in the area.